How Do I Modify Child Support or Custody? 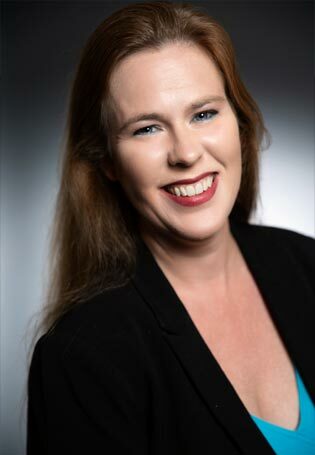 Family Law Attorney, Mary Zogg proudly serves the Child Support and Custody Modification and other Family Law legal needs of those in Orlando, Central Florida, and Fort Lauderdale. Call 321.209.1878 to schedule an confidential legal consultation regarding your Child Support and Custody Modification and other Family Law matters. Child support is always modifiable. Typically, any change in circumstances that would result in a change of more than $50 – 75 per month in support will be considered substantial, and, thus, subject to change or modification. Any change in child support will be modifiable retroactive to the date that you officially filed the petition for modification. Only in rare instances will the modification go back before the filing of the petition. Custody is also modifiable, but the reasons are not as concrete as altering your child support. After a judge has finalized a custody and visitation order, one(1) or both parents may want to change the order. Sometimes parents may want to change the order as their child gets older and their needs, interests, and activities change. Other times a parent may want to change the order because their own life – new job, new partner, new location, etc. – may be different from when the custody was first established. Whatever the reason, parents often renegotiate their custody about every three(3) years. If both parents mutually agree to the changes then the court can easily alter the custody by using an official contract of agreement. However, if the parents cannot agree then one(1) of the parents must file papers asking the court for a custody modification. These disputes are typically held in a mediation in the presence of a certified mediator. To modify your custody agreement you must prove that there has been a change in circumstances since the original custody order was made. This means that there has to have been a significant change that requires a new custody and visitation arrangement that is in the best interest of the children. Florida divorce law is designed to protect first and foremost the rights and needs of the children. In order to change the custody agreement, a judge will have to deem that the modification is in the best interest of the children and that this is the best way for them to have a stable and consistent custody arrangement with their parents. Call Orlando Family Law Lawyer, Mary Zogg at 321.209.1878 to discuss your Child Support and Custody Modification and other Family Law needs and goals. Mary Zogg has extensive experience in assisting Orlando, Winter Park, Maitland, Longwood, Central Florida and Fort Lauderdale residents who require professional Child Support and Custody Modification and other Family Law Attorney legal services. Attorney, Mary Zogg serves the Child Support and Custody Modification and other Family Law needs of those in Central Florida including Orange County Florida, including: Orlando, Maitland, Apopka, Winter Park, Alafaya, Bay Lake, Belle Isle, Bithlo, Christmas, Doctor Phillips, Eatonville, Edgewood, Fairway Shores, Goldenrod, Gotha, Hunter's Creek, Lake Buena Vista, Lockhart, Meadow Woods, Oakland, Ocoee, Orlovista, Pine Castle, Pine Hills, Southchase, South Apopka, Taft, Tangerine, Union Park, Wedgefield, Williamsburg, Windermere, Winter Garden, Zellwood, Osceola County Florida, including: Kissimmee, St. Cloud, Campbell, Celebration, Champions Gate, Deer Park, Four Corners, Harmony, Intercession City, Kenansville, Narc oossee, Poinciana, Reunion, Yeehaw Junction.